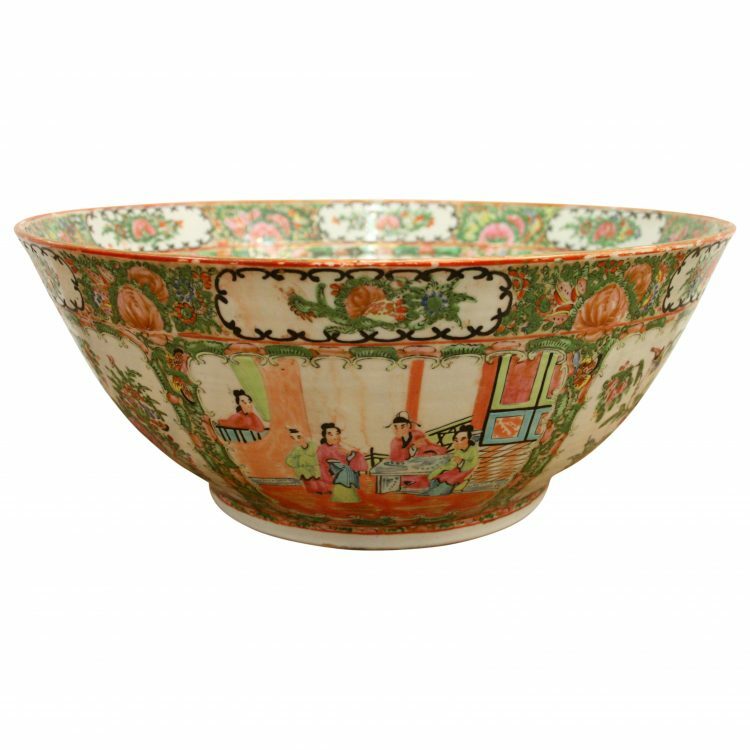 20th century Canton bowl of generous proportions. 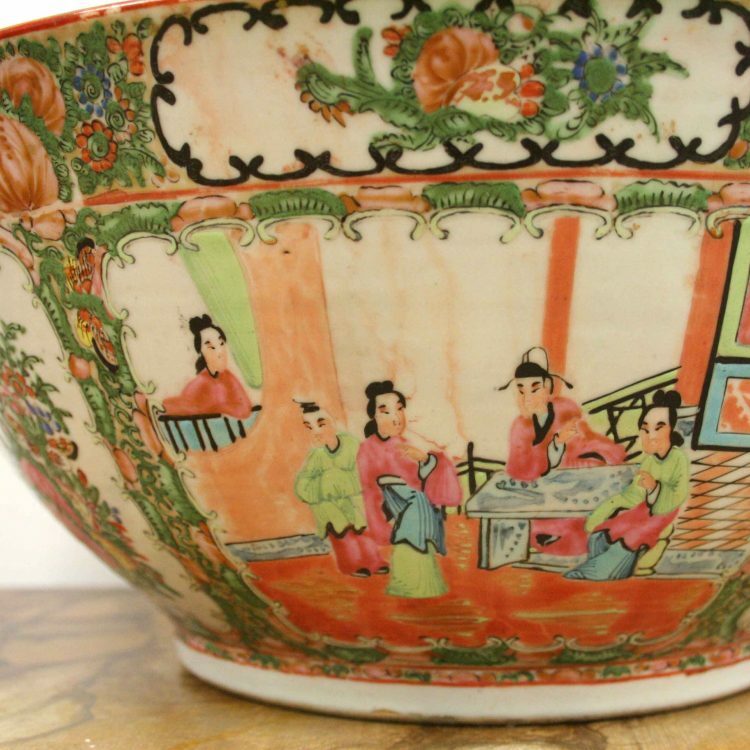 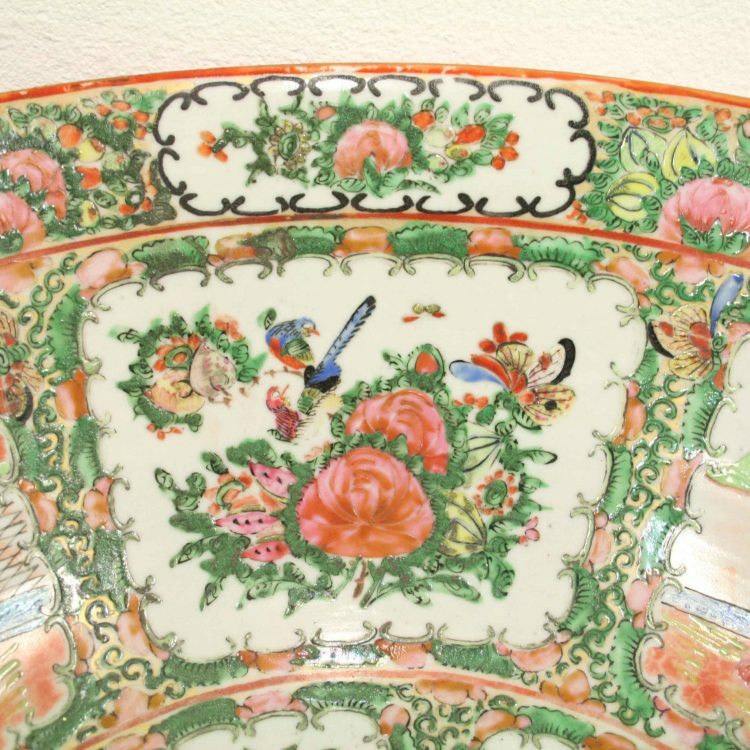 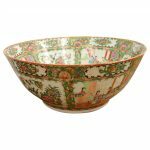 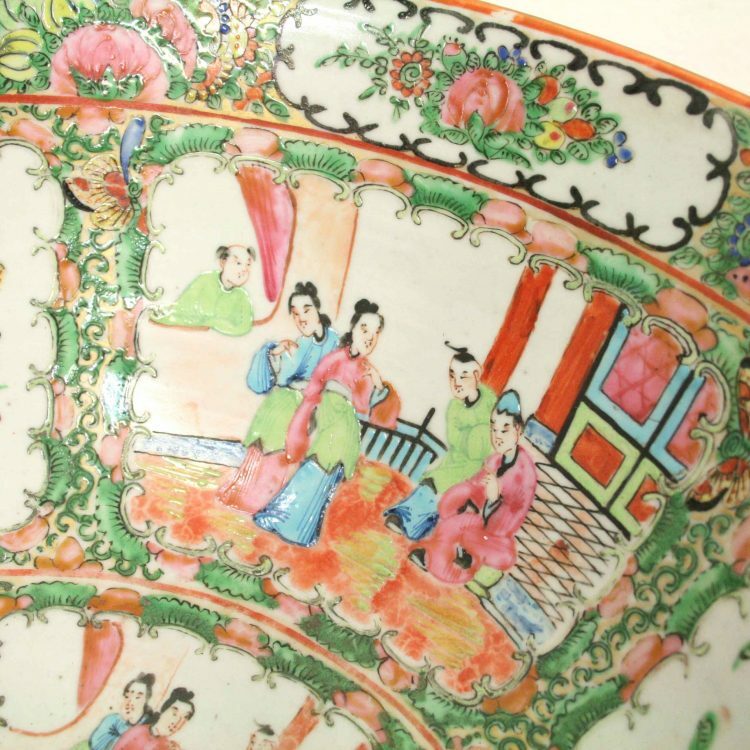 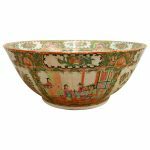 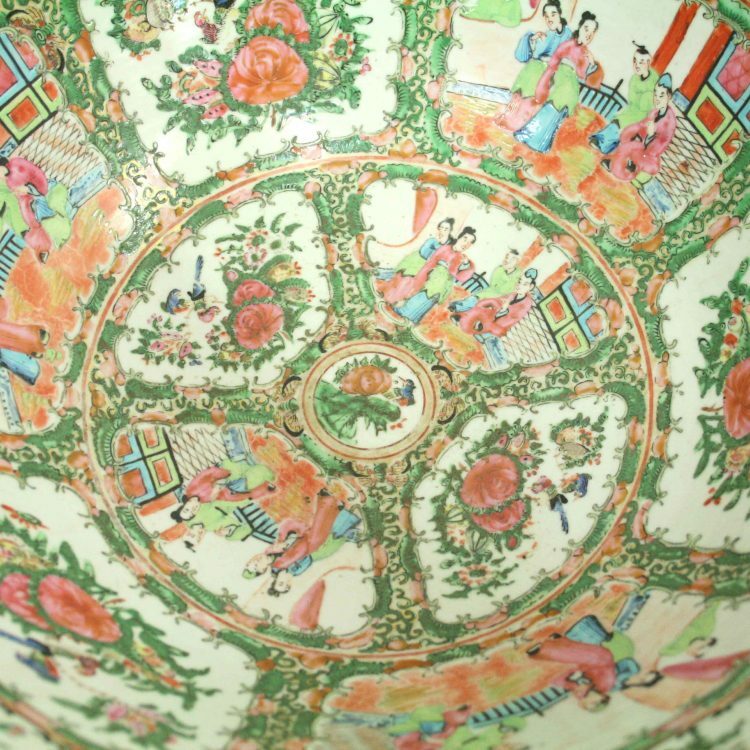 The bowl which is painted both inside and out has several different scenes of the inside of a house with flowers, birds and stylish foliate decoration on the border. 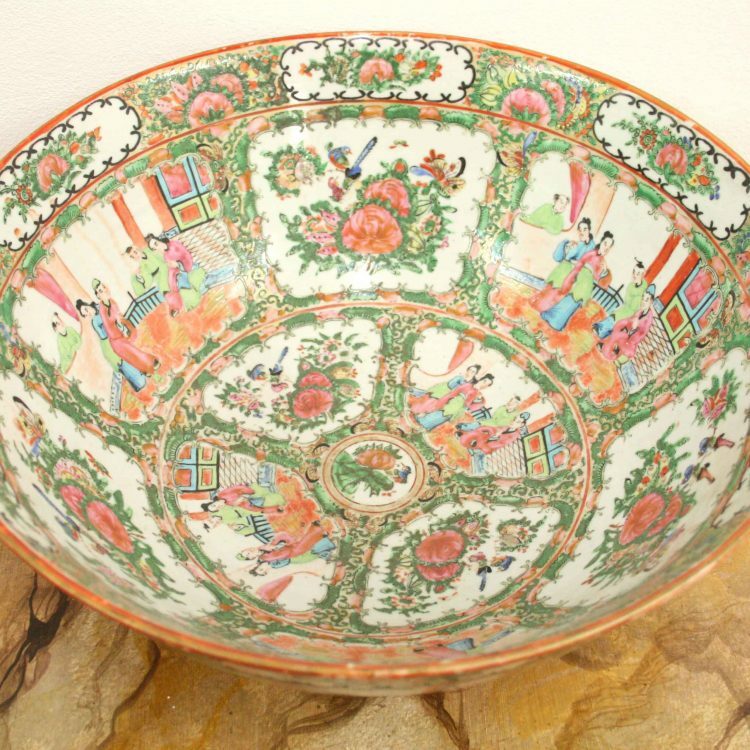 The bowl is clean with no cracks. 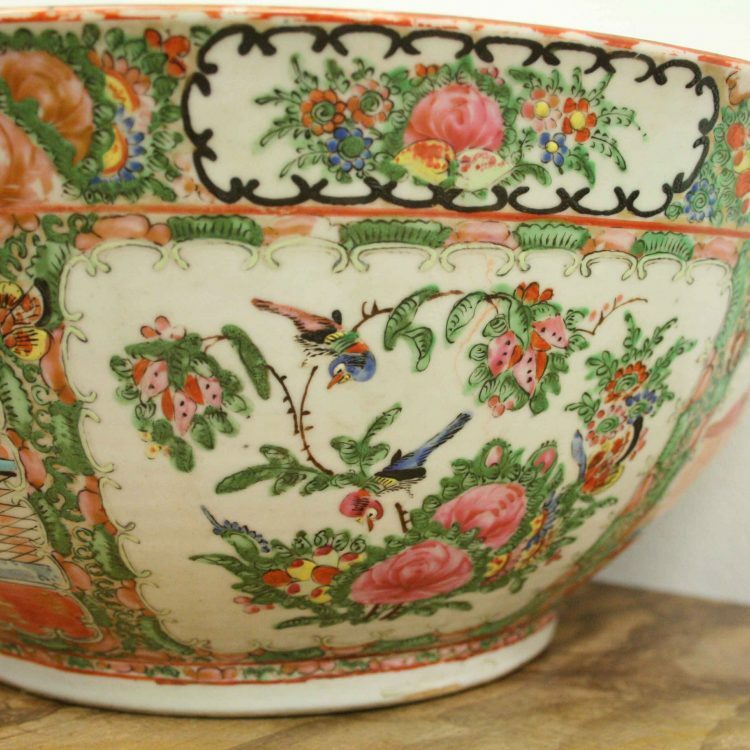 15cm high x 37cm diameter.